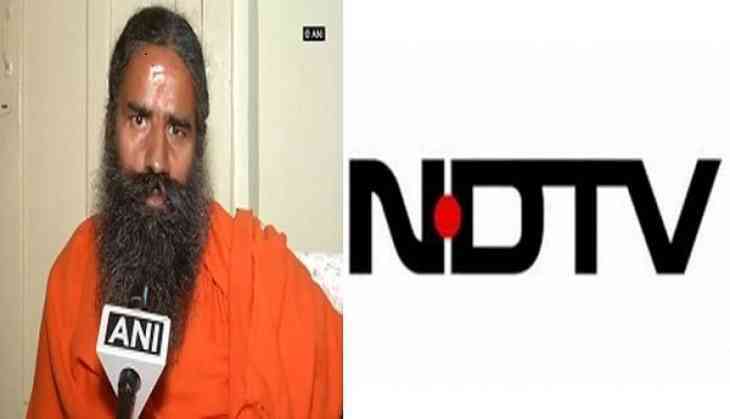 The Patanjali Ayurved on Monday rebuffed reports that Yog Guru Baba Ramdev is in preliminary talks to buy NDTV. Patanjali Ayurved Ltd and Patanjali Yogpeeth spokesman S. K. Tijarawala said , "This is bogus, baseless and unwarranted news that @yogrishiramdev in preliminary talks to buy NDTV @Ach_Balkrishna,"
According to reports, the broadcaster is in preliminary talks with some parties to sell the TV channel and Baba Ramdev is among the interested parties. It comes after the Central Bureau of Investigation (CBI) on Monday registered a case against NDTV's co-founder Prannoy Roy, his wife Radhika Roy, a private company and others for causing an alleged loss to a bank. CBI searches were conducted today at four places including Delhi and Dehradun.